The mechanics at Master Mechanic Dupont prioritize their community and the people within it. they are passionate about helping others and understand that no matter what political affiliation, race, gender, or background people associate themselves with, everyone should do what they can to support each other. They value the importance of neighbourhoods and communities looking out for one another, and this is exactly what they do for the Dupont area in Toronto. When helping the community, Master Mechanic Dupont focuses on supporting the elderly and people who are honestly struggling due to no fault of their own, as well as donating to the Sick Kids Foundation. Master Mechanic Dupont helps the elderly and families with financial difficulties with service prices that work best for their individual needs. Providing low cost and sometimes free services for customers in hard times, Dupont values their community’s needs. 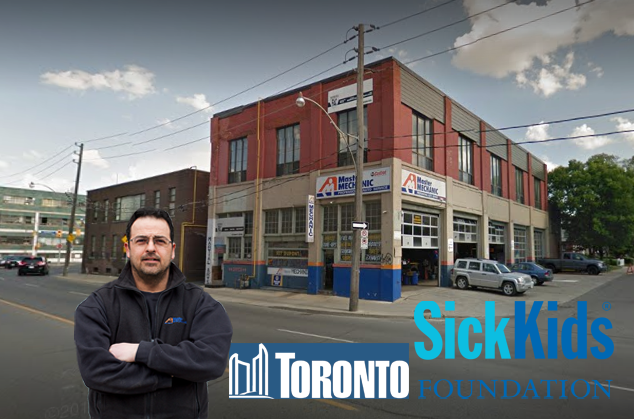 For the past 3 years, Master Mechanic Dupont has supported Sick Kids Foundation with over 10 separate donations. Building strong relationships with his customers, the owner, Frank C, learned about different families whose child was getting treatment at Sick Kids. With this personal touch, Master Mechanic Dupont knew this organization would be the best to start donating to and will continue to do so over the years. The mechanics at Master Mechanic Dupont strive to be role models for other businesses in the community and industry by putting people first! Talk to the Mechanic, and take a look at Master Mechanic Dupont’s page to learn more about their services.